» Download our 2016 brochure. 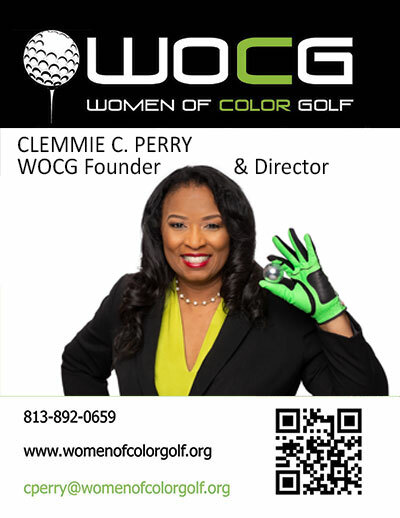 Women of Color Golf (WOCG) & Girls On the Green Tee (GOTGT) are a not-for profit 501c3 organization located in Tampa, Florida. The mission of Women of Color Golf is to increase diversity and inclusion in the sport of golf for women and girls through instruction, on-course play, mentoring, networking, special events, health and career-related opportunities. The mentoring program Girls on the Green Tee (GOTGT) is designed for girls ages 10 -17, and college students, to answer the ever present need for strong, accomplished, and resilient female role-models. (GOTGT) seeks to create a spark of interest and inspiration in the game of golf. This inspiration is then turned into action by connecting the motivated girls to mentors in our golf community through various activities and events. The Women of Color Golf (WOCG) and Girls on the Green Tee (GOTGT) initiatives have grown into a national recognized community program with recognition by the United States White House as Champions of Change for Extracurricular Enrichment for Marginalized Girls. Integrating Social Media & Technology to collabodfrate and network the Golf Community. 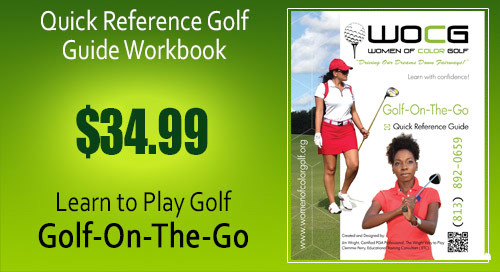 The Women of Color Golf (WOCG) clinics are taught by certified golf teaching professionals. We would like to thank the following professionals for their participation and collaboration with the Women of Color Golf.